Jon Rauchway specializes in environmental and natural resources litigation. He defends class-action and mass-joinder lawsuits alleging environmental contamination based on common-law theories, and represents plaintiffs and defendants in litigation involving CERCLA, RCRA, the Clean Air Act, the Clean Water Act, and related state statutes. He also handles litigation involving nearly all aspects of the energy industry, such as disputes over royalty payments, operating agreements, ownership interests, and property transactions. In addition to his work in the trial courts, Mr. Rauchway is an experienced appellate advocate, having argued appeals before the U.S. Courts of Appeals for the Second, Ninth, and Tenth Circuits, as well as state appellate courts in Colorado and elsewhere. For over a decade, he was a member of the Criminal Justice Act Panel for the U.S. Court of Appeals for the Tenth Circuit and appeared regularly before the Court during that period. Prior to joining DGS, Mr. Rauchway practiced at an international law firm in New York City and spent one year clerking for a U.S. District Judge in Dallas, Texas. Mr. Rauchway is a member of the Board of Trustees for the Legal Aid Foundation of Colorado and the Board of Directors for The Urban Farm. He is listed in The Best Lawyers in America©. 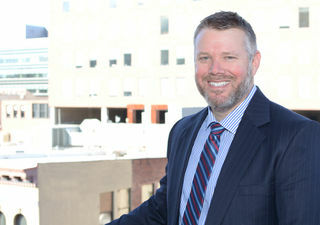 In 2018, he was named the Barrister’s Choice “Best Environmental Attorney” as well as “Lawyer of the Year” by Law Week Colorado. Obtained complete defense verdict for an oil company facing multi-million-dollar damage claims by a group of property owners who claimed their land and water had been contaminated by the company’s Superfund site. After a three-week trial in federal court in Nevada, the jury rejected all of the plaintiffs’ claims. Lead counsel for two subsidiaries of a multinational agricultural products company in a lawsuit against the U.S. concerning the past and future costs of environmental cleanup at four phosphate mines in Idaho. Cleanup costs were estimated in the hundreds of millions of dollars. Successfully obtained summary judgment on the liability of the U.S. on all asserted grounds – CERCLA owner, operator, and arranger – at all four sites. The case settled on favorable terms on the eve of trial. Lead counsel for an oil company in a lawsuit against the State of California concerning a settlement agreement for the costs of cleaning up a Superfund site, which exceed $100 million. The case settled on favorable terms on the third day of a jury trial. Lead counsel for a North American energy producer in a lawsuit alleging serious personal injuries from an accident on a drilling rig. The case was dismissed with prejudice, affirmed by the Colorado Court of Appeals, and certiorari was denied by the Colorado Supreme Court. Another lawsuit concerning the same accident – not defended by DGS – resulted in one of the largest verdicts of the year in Colorado. Represents an oil company in toxic tort and property damage cases around the country. Represents oil and gas producers in royalty payment disputes in several western states.